I've been looking forward to trying this one for a long time and it's delivered big time! NOSE: very big and sweet with lovely sherry and even some white port notes. Wonderful cinnamon, all spice and 50% cacao chocolate. With a little water: rum, honey, brown sugar, vanilla, over-ripe fruit basket. Rose petals, black tea and sour cherries. TASTE: wonderful, incredibly rich, full-bodied chocolate toffee, sour cherries again. Sweet and sour. Water brings out more black tea tannins, dried fruit, and hints of chocolate again. I wouldn't add too much water to it, though. In my opinion, the complexity and charm of this whisky diminishes if you over-dilute it with water. FINISH: warming, slightly oaky, overripe melon, long sherry finish. There's one popular dessert in Russia which is basically chocolate covered prunes. This finish is laden with this stuff. OVERALL IMPRESSION: a lovely sweet dram I've fallen in love with. It's not too complex, but it's very hearty and satisfying. @Georgy, yes, by all means post the batch number. The batches do vary, and A'bunadh purchasers want to know exactly what it is that you are reviewing. Good job, Georgy, and thanks for your review. Since this appears to be your first A'bunadh review, the A'bunadh hounds will likely be watching to see how your later additional reviews of other batches of A'bunadh compare to one another, and to their experiences of others and themselves with the particular batches being reviewed. Finding value in reviews is largely a task of learning to review and understand the taste of the reviewers. @Victor Thank you! I'd love to try those much-talked about batches, but this whisky is somewhat difficult to come by here in Moscow. So I am lucky I got this one. Thanks for the review. I just opened a bottle of the very same batch and I too like it a lot! @Alexsweden Cheers!=) I also find that with time you can also spot a hint of sulfur along with some menthol as well on the nose. Forgot to mention it in the tasting notes. @Georgy. I have only ever had batch #21 and I found it quite sulfurous and with a slightly bitter dried fruit overtone at first. It seemed to improve with time, air and water, but I am reluctant to try it again, especially now that it has become very expensive. These days I get my sherry quota from Glenfarclas, Glendronach and BenRiach. But if I see a good price on a well reviewed batch of A'Bunadh I might give it another try as I seem to be in a distinct minority on this one. @BlueNote They say the batches do vary greatly, so it's wise to check before you buy. This one seems lovely, as far as I'm concerned. But I must say I enjoy Glenfarclas 15 and Glendronach 15 more. They are much more than just cherry monsters. @BlueNote, I have had bad first experiences with at least 5 or 6 very well-liked whiskies. What I have found out the hard way is that there are usually good reasons why a whisky is very popular, and I just happened to get the short end of the stick in those particular situations, whether they were whole bottles, minis, or samples. Most brands have a lot more batch variability than distillers or whisky fans would ever care to admit. In almost every case I have had better experiences from other batches of the same whisky. Maybe find a friend with other batches of A'bunadh to sample them without commitment. I am very sulphur sensitive and your Batch # 21 sulphur experience seems unrepresentative of my experiences with A'bunadh, though I have not tasted from Batch # 21. Usually A'bunadh seems pretty clean to me. @Georgy's report of a sulphur note in the Batch # 55 is a warning sign to me. Usually if a newly-opened bottle of whisky shows a little sulphur, that same bottle will show a lot of sulphur after it has been open for a few months. This is why we specifiy the BATCHES of the whiskies we are reviewing, when that information is available. @Georgy, we need the specific batch bottling code in order to know which whisky it is which you are reviewing. No two batches of Uigeadail are the same, and there are multiple batches from the year 2016. 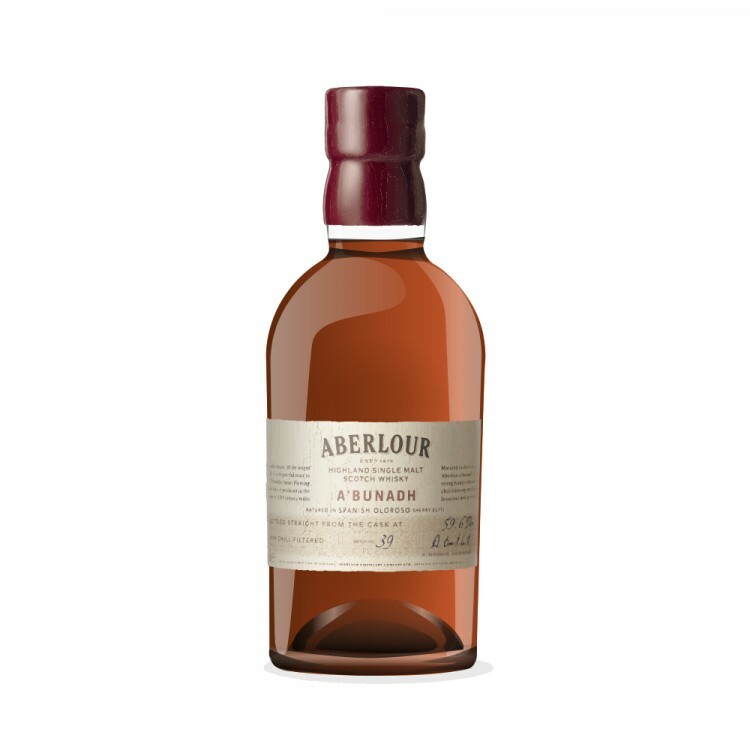 A general "thumbs-up" vote via a good review score on an unspecified batch means very little to the multitude of review readers who are contemplating purchase of a particular bottle of a particular batch. For practical purposes your nice review is next to worthless to me without the Bottling date information. Good points all, @Victor. Many thanks. I was about to look up your recent Uigeadail review to determine the batch number. I recall you were also unimpressed with a recent bottling of Corryvreckan. I am just into L60024 08/10/2014 and it is good, but too soon to make a definitive pronouncement on it. I am, however, not as enamoured of Corry as some of my friends, I actually prefer Uigeadail. @BlueNote, I prefer Ardbeg Uigeadail to Ardbeg Corryvreckan too, and always have. @Nock would probably say that that has a lot to do with my first two bottles of Corryvreckan being from the worst two batches which he has tasted. I still prefer almost every batch of Uigeadail to the other, better, batches of Corryvreckan from which I have also tasted. My recent not-so-favourable Ardbeg reviews were of a batch of Corryvreckan, and of a batch of Ardbeg Ten. I haven't done any recent reviews of Ardbeg Uigeadail. Yes, I realized it was the Ten after I went searching. I have a soft spot for the Ten since it was the one that finally turned me onto peat about ten years ago after resisting it for years before that. @Georgy, interesting your experience of sulphur as a passing thing. I've never had that experience with any whisky. All that I have experienced has been moderate, little, or no sulphur at first which becomes stronger and more dominant with more and more air exposure. If there is sulphur there, you should normally notise it within 2 to 4 months after opening. Sometimes, after a very long period of 1 to 2 years the intensity of sulphur seems to lessen somewhat, but it never seems to go away. Not for me, anyway. @Victor I could be just dreaming, then. However, the sulphur in this one wasn't offensive in anyway. If anything, it was intriguing. A kind of match type smell. Still I've had this bottle for only a month or so, so who knows what'll happen.